President Muhammadu Buhari has congratulated Mr George Weah on his election as the next President of the Republic of Liberia. 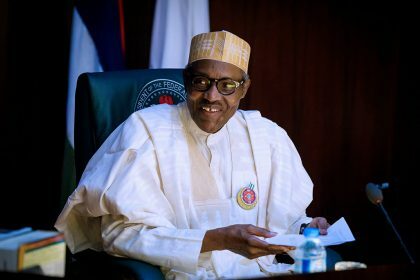 President Buhari in a statement issued by his Special Adviser on Media and Publicity, Mr Femi Adesina, in Abuja on Friday, also commended the Liberian people on the peaceful conduct of the historic presidential run-off election. The President equally applauded the efforts of the National Election Commission of Liberia, as well as regional and international observers who had contributed immensely to the electoral process and the strengthening of post-conflict democracy in the West African country. While describing Weah’s victory as an affirmation of the will of the Liberian people to remain united, peaceful and prosperous, Buhari pledged Nigeria’s readiness to work with Liberia on issues of mutual interest at bilateral, regional and global levels for the benefit of citizens of both countries. He noted that under Sirleaf, Liberia had performed well in areas such as, women and civil rights issues, peace building and consolidation, ECOWAS and the Mano River Union. According to him, Sirleaf deserves special commendation for the statesmanship she has shown in ensuring free and fair elections that will pave the way for a peaceful transfer of political power from one democratically elected leader to another for the first time in 73 years.